Dr. Rogers discusses concussion and how to get a baseline evalution while your healhy to compare to post injury. He talks about the healing process and the symptoms based on the areas of the brain that are affected. He also interviews Jay Hocking and Hugo Jimenez from Advanced hyperbarics in Stanton, California. 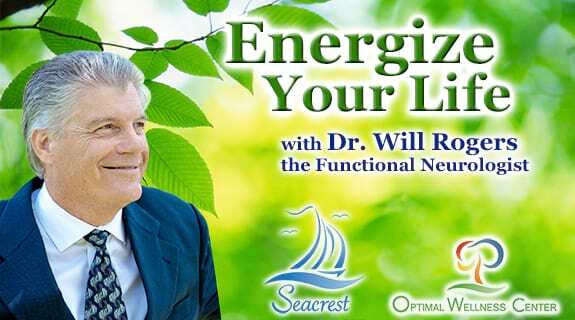 He talks about how functional neurology looks at and retrains the areas of the brain that are not functioning properly. Jay Hocking is a graduate of the College of Oceaneering. He received his National Certificates for Emergency Medical Technician (EMT), Diving Medical Technician, Hyperbaric Medical Technician, as well as CPR and First Aid instructor in 2001. He ran the hyperbaric clinic at Whitaker Wellness Center for 7 years. Jay was also the supervising technician at Orange County Wound and Hyperbaric. Jay is also a certified SCUBA diving instructor. He has 13 years of experience in the field of hyperbaric medicine. Hugo Jimenez is a licensed Respiratory Care Practitioner and Registered Respiratory Therapist. He attended American Career College, Cypress College and Azusa Pacific University with an education focused on biochemistry and premedical studies. Hugo is experienced in treating adults and pediatrics in the critical care and long term care setting.